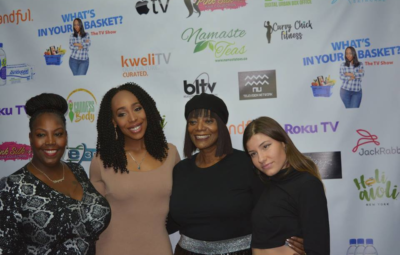 The African American Women in Cinema ( AAWIC) organization gives an opportunity for filmmakers, directors, producers, screenwriters and/or actors to utilize their own platform to bring attention to their work. It is the goal of AAWIC to give artistic women a path to fulfilling their dreams through showcasing their talents, exposure to peers’ interaction, and mentoring by established professionals. For the past 20 years, this company has made it its mission to support minority women in film as best as they can. Founder Terra Renee has previously worked in cinema and has used her platform to create AAWIC. She has experience from Universal Pictures and has served as a judge for Hollywood’s most prestigious awards such as the Emmy Awards. Ms. Renee has also been a recipient of many notable awards such as the NAACP Woman of the Year Award and the Living Legends Award by the New York Greater Chamber of Commerce. Most recently receiving a Proclamation from the City of New York presented by Council Member Jumaane D. Williams and others. From her experience and acknowledgments, Terra Renee continues to push AAWIC’s yearly film festival as the platform for other creatives to be able to showcase their work. This will be our third year covering this rewarding and positive growing festival. This year’s festival agenda included Red Carpet opening day at Cinepolis Theater to premiere ‘Sinner’s Wanted‘ starring, Clifton Powell, Lamman Rucker, Roland Martin, Traci Braxton and a special appearance by Tasha Cobbs. The movie was executive produced by Tressa “Azarel” Smallwood and written/directed by Jimmy & Joshua Jenkins. Each year the festival consists 4-5 event-filled days during March. Each day has its own theme and objective. The days encompass independent movie premieres, screenings where the audience can judge each film and panel discussions where film creatives and others can share ideas, connect and possibly collaborate. Panel discussions took place between ImageNation Raw Space in Harlem and St. Frances College in Brooklyn to theNew York Governor’s Office of Motion Picture & Television. Master classes, panel discussions, and film screenings brought names like Celebrity Make-up Artist, Nzingha, Marsha Taylor, President of Hidden Agenda, Robert “Rob” Williams, President of the Peace Makers, Delaney (Lay Lay) Johnson, entrepreneur and Founder of Fifteen Dynasty Management, President of the Bronx Branch NAACP; Biarni Burke, Dr. Cyndi Ashley, Chairwoman of Restoring Our Community Media & Arts Network Foundation and the Founder/President of Total Faith Network Television (TFN-TV) Media Enterprises., Inc., Michelle Wong CEO & Founder Work Your Money Podcast, Jessica Sinclair, CEO of Sinclair Master of Ceremonies; Dr. Cheryl Williams, Celebrity Make-up Artist, and Image Consultant nominated for two daytime Emmy’s, Filmmaker Rhonda Haynes, Lynn Spivey, President of NAACP- NYCHA Branch, Jamie Bland, the Chapter Leader of the National Action Network (NAN) Bergen & Passaic County, NJ & the Founder and Executive Director of Jumpstart Community Training and Productions Program, King Downing, Lawyer & founder of the Human Rights-Racial Justice Center and Ayesha Grice, Dana Roberts Ross, CEO of Pure Quality Enterprises, Andria Mayberry, Mom and Manager to her son, Empire Superstar, Bryshere Gray, Dr. Ogundu who collaborates with health ministries in India and Sub-Sahara Africa in research and development, Eva McFadden, Founder of I’M MY SISTAH’S KEEPER and Mikey Jay, two times Grammy nominated Recording Artist/Music Producer and Philanthropist. Watch our recap and interviews of The 20th Annual African American Women In Cinema Film Festival here.